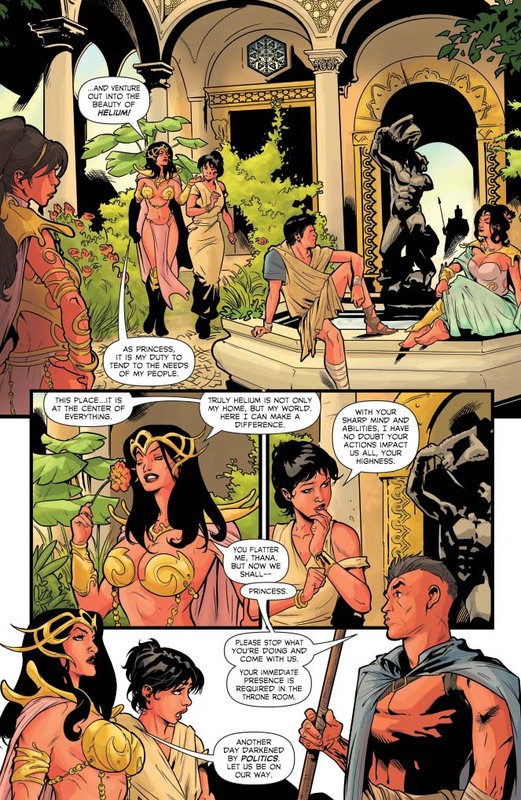 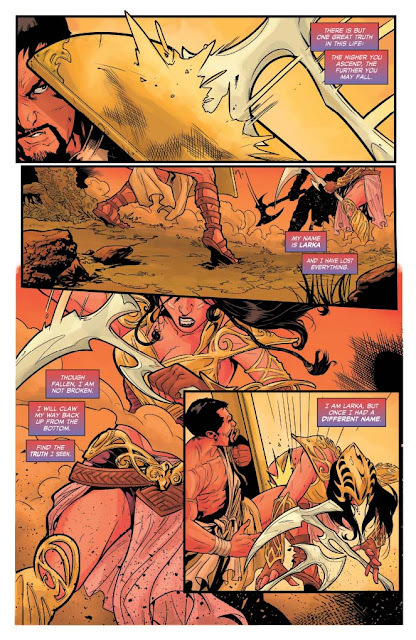 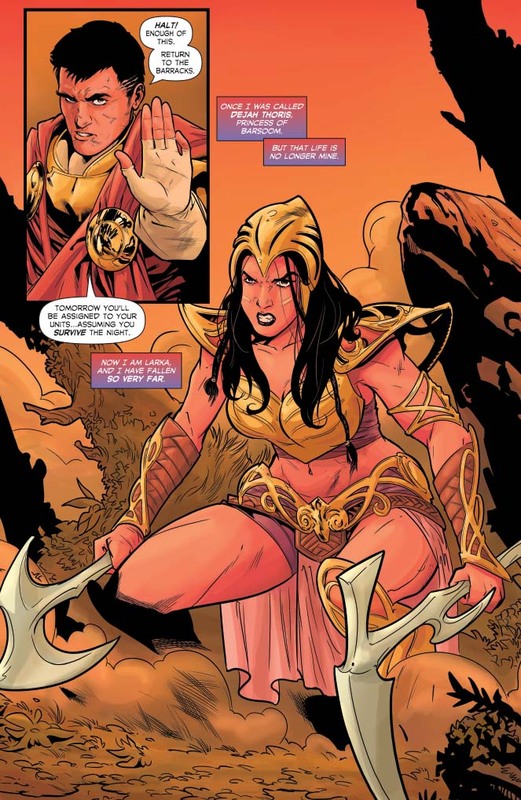 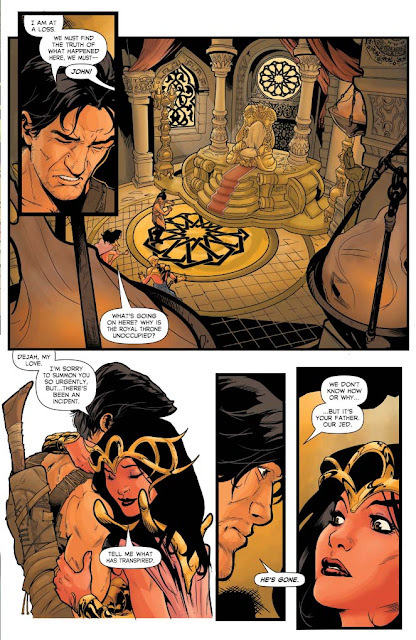 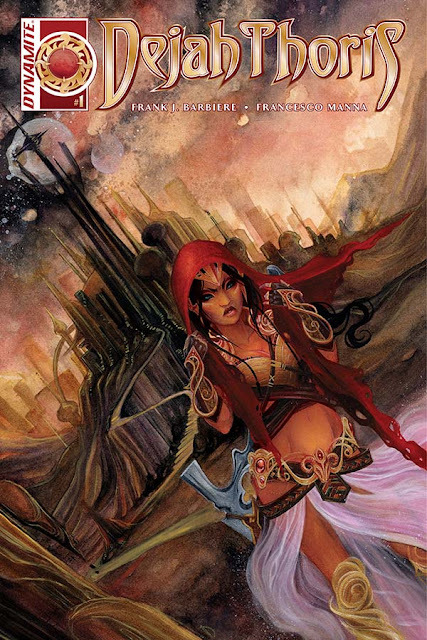 Prepare yourself for Dejah Thoris as you've never seen her before! A shocking conspiracy unravels in Helium as Dejah's father has gone missing. 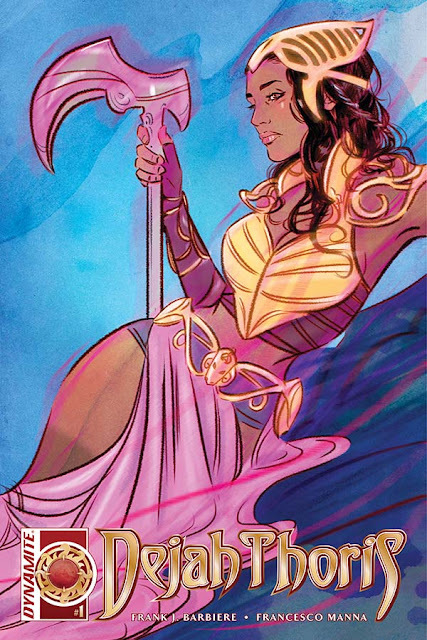 In the wake of assuming the throne, Dejah learns secret information from her past that will have resounding effects on the kingdom – and her life! 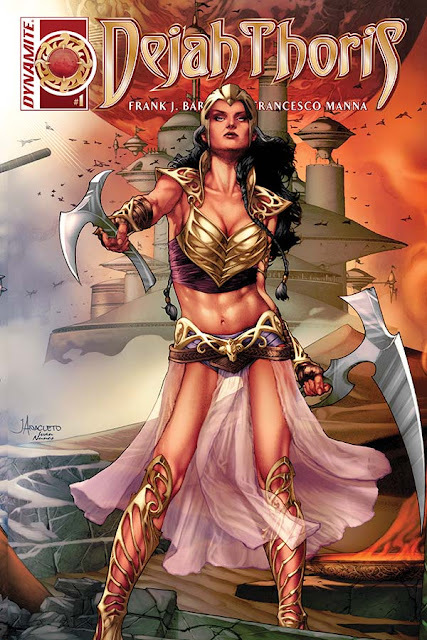 Join Frank J. Barbiere (The Howling Commandos of SHIELD, The Precinct) and Francesco Manna (Vampirella #100) as Dejah discovers a secret past that will have her leaving Helium for an all-new adventure on her own!